This comprehensive new book introduces the core history of phenomenology and assesses its relevance to contemporary psychology, philosophy of mind, and cognitive science. From critiques of artificial intelligence research programs to ongoing work on embodiment and enactivism, the authors trace how phenomenology has produced a valuable framework for analyzing cognition and perception, whose impact on contemporary psychological and scientific research, and philosophical debates continues to grow. The first part of An Introduction to Phenomenology is an extended overview of the history and development of phenomenology, looking at its key thinkers, focusing particularly on Husserl, Heidegger and Merleau-Ponty, as well as its cultural and intellectual precursors. In the second half Chemero and Käufer turn their attention to the contemporary interpretations and uses of phenomenology in cognitive science, showing that phenomenology is a living source of inspiration in contemporary interdisciplinary studies of the mind. Käufer and Chemero have written a clear, jargon-free account of phenomenology, providing abundant examples and anecdotes to illustrate and to entertain. This book is an ideal introduction to phenomenology and cognitive science for the uninitiated, as well as for philosophy and psychology students keen to deepen their knowledge. this book presents an unique approach." This is an extremely well-conceived and well-executed project. By focusing on perception and cognition, the authors both show the contemporary relevance of phenomenology, and provide an excellent introduction to the phenomenological movement in philosophy. 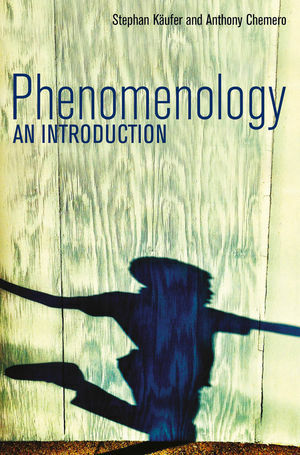 I also know of no other introductory text on phenomenology that is so relentlessly clear and jargon free. The authors have done a magnificent job of offering a coherent, sensible, illuminating, and fascinating review of the development of phenomenology and a justification of its enduring importance to philosophy.